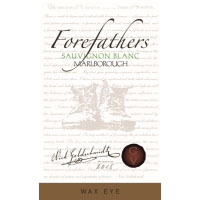 Forefathers Sauvignon Blanc comes from a single vineyard on an eastern slope in the heart of Marlborough. The vineyard is situated east of the town of Blenheim on the Hawkesbury River and is comprised of a gravely loam soil. This allows for good drainage, great exposure of the grape clusters, and a long hang time. There is also good air change, which is the key to managing winter frosts and summer heat. Forefathers wines have structure, intensity and complexity. Only ripe grapes with excellent maturity and well-developed flavors are selected. Ripeness means intensity of flavors and weight in the mouth. The fruit was harvested at night to avoid the heat of the day and immediately pressed off to separate juice and skins. Night harvesting promotes delicate and fruit-driven wines. Forefathers Sauvignon Blanc wine was tank fermented and left on lees to accentuate creaminess. 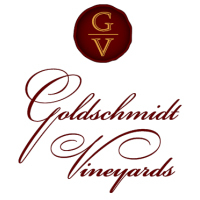 Light straw color; aromas of gooseberry, passionfruit, melon, and sub-tropical fruits. Initially bright in the mouth but gains considerable weight on the mid-palate. Shows stone-fruit, lemon, and guava flavors. Focused acidity, round texture, and just a dab of sweetness in the finish.